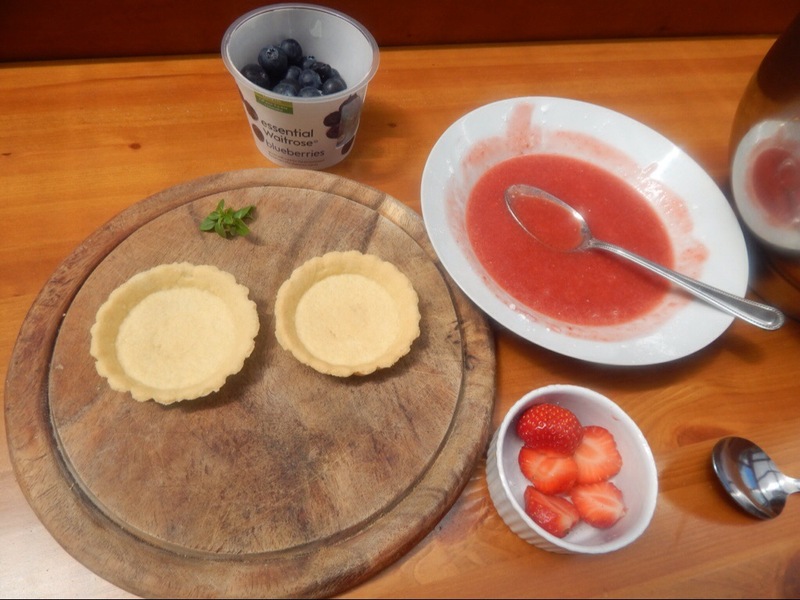 Whizz your strawberries, 1 capful of Pimms and icing sugar up in a blender or Vitamix and set aside. Whip your double cream, remaining Pimms, caster sugar and orange zest until soft peaks form. 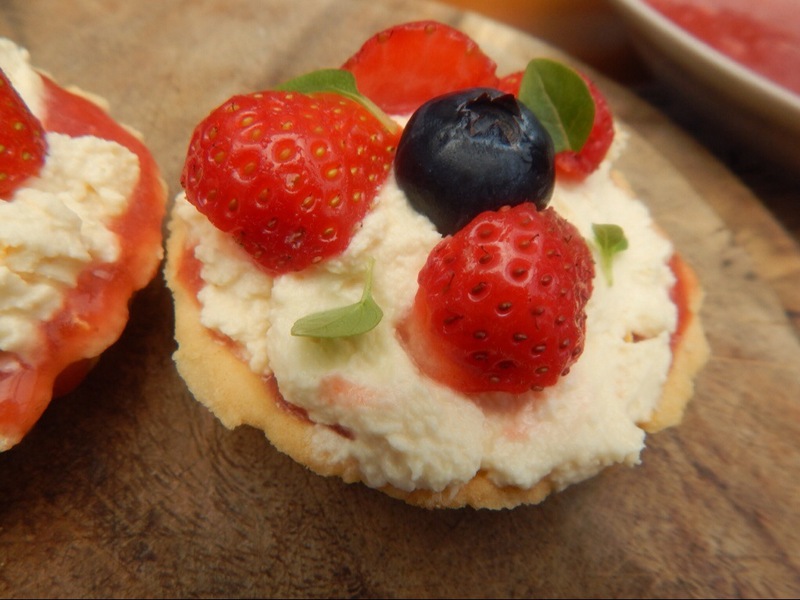 Layer each tart with some strawberry/Pimms mixture followed by a dollop of cream, some berries and basil leaves. Chill or devour immediately. This is such a cute idea. I love it! They sound so refreshing. 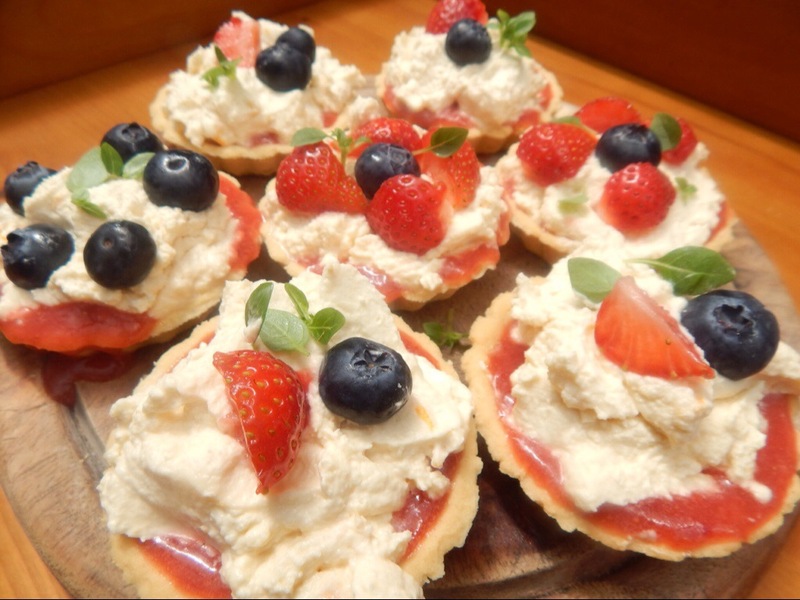 These look great, such a lovely idea – perfect for summer parties and picnics! Yum!